The 31st Amendment of the Constitution of Pakistan, officially known as the Constitution (Thirty-first Amendment) Act, 2018, was passed by the Parliament of Pakistan and the Khyber Pakhtunkhwa Assembly in May 2018. Under the amendment, the Federally Administered Tribal Areas (FATA) are to be merged with the province of Khyber Pakhtunkhwa (KP). Unlike Swat, Dir and Chitral, which were merged in 1969 by Gen Yahya Khan, the architect of the Fata-KP merger was a democratic government, in consensus with the military. Following successful military operations in the area, the constitutional amendment to merge Fata with KP may finally bring relief to its people. 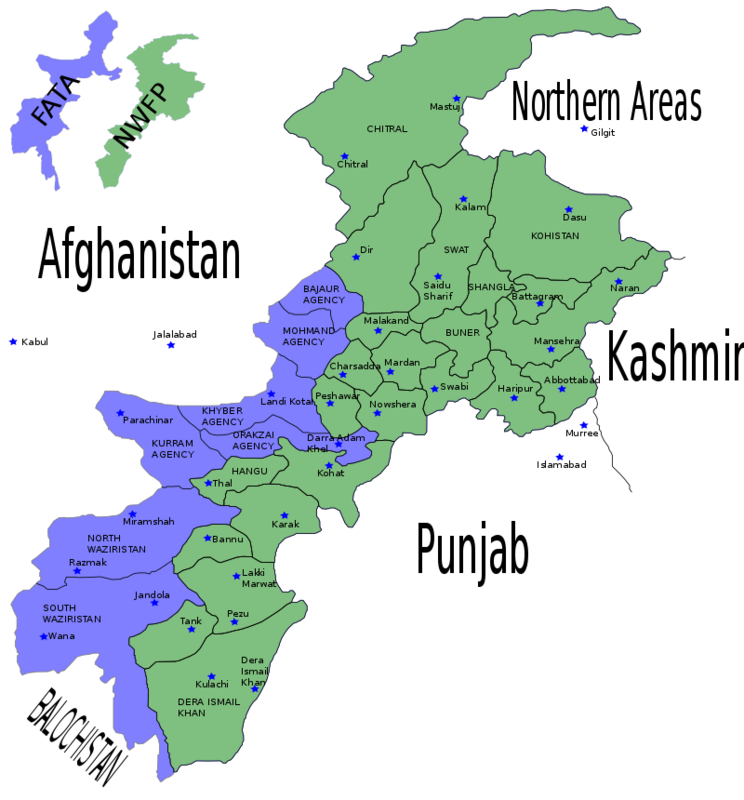 Since the independence of Pakistan from the United Kingdom in 1947, the seven districts of the Federally Administered Tribal Areas were governed by "Political Agents" (PA) appointed by the President of Pakistan. The PA had near-absolute power over their tribal districts. Historically, even after 1971, Pakistan remained an overcentralized federation unwilling to devolve its powers. While the 18th Amendment and continuity of democracy have encouraged a healthy trend towards smaller administrative units, in this regard, the merger was the only strategically and financially viable option. Nonetheless, its success will encourage debate about the creation of new provinces. Efforts to merge FATA with Khyber Pakhtunkhwa date back decades. Former President Pervez Musharraf considered the integration of FATA with the rest of the country by way of a version of the Local Governance Ordinance, 2001 with an extended geographic scope, as well as through the Political Parties Act, 2002. On December 14th, 2016, the Khyber Pakhtunkhwa Assembly adopted a resolution in favor of merging FATA with Khyber Pakhtunkhwa with the goal of infrastructure rehabilitation and reconstruction. Recommendations to bring FATA on par to the rest of the country were approve by the federal cabinet on March 2nd, 2017, and on December 26th, 2017, the federal cabinet approved the formation of the National Implementation Committee on FATA Reforms, including the Minister of Defence and Commander 11 Corps. At the last meeting of the National Implementation Committee, Chief of Army Staff General Qamar Javed Bajwa pushed the government towards a decision on the merger. The Supreme Court and High Court (Extension of Jurisdiction to Federally Administered Tribal Areas) Act, 2018, assented to by President Mamnoon Hussain on April 18th, 2018, extended the jurisdiction of the Supreme Court of Pakistan and the Peshawar High Court to the Federally Administered Tribal Areas. The Constitution (Thirty-first Amendment) Act, 2018, seeks to amend Article 1 of the Constitution, where the country's territory is defined and FATA is mentioned as a territory separate from the other four provinces. It also amends Articles 51 and 59, which concern the allocation of seats in national and provincial assemblies for each of the federating administrative units. Articles 106, 155, and 246 are amended by the act, and 247 is repealed. The amendment effectively abolishes the Frontier Crimes Regulation (FCR). A US$865 million package will be allocated to a 10-year plan aimed at the rehabilitation and reconstruction of infrastructure in the tribal areas alongside changes to the constitution. The amendment will reduce the Senate from 104 to 96 members, and the National Assembly from 342 to 336 members. The Khyber Pakhtunkhwa Assembly will have 145 seats (115 general, 26 reserved for women, and 4 reserved for minorities); FATA will have 21 seats within the KP Assembly (16 general, 4 reserved for women, and 1 reserved for non-Muslims). The incumbent senators for FATA will be allowed to complete their six-year terms. After they have all retired by 2024, there will be no separate representation of FATA within the Senate. The amendment was passed in the National Assembly on May 24th, 2018, with a 229-1 vote in favor. Jamiat Ulema-e Islam (F) (JUI-F) and Pakhtunkhwa Milli Awami Party (PkMAP) lawmakers walked out from the assembly before the vote. Dawar Kundi of Pakistan Tehreek-e-Insaf (PTI) was the sole dissenting voter. During the session, Imran Khan, the chief of PTI, addressed the house, congratulating parliament on uniting despite party differences and bringing up the rigging, money laundering, and the Panama Papers. Prime Minister Shahid Khaqan Abbasi spoke afterward, criticising Khan for bringing up unrelated issues in his speech. On May 25th, 2018, the amendment was passed by the Senate with a 71-5 vote in favor. The five voters against were members of the Pakhtunkhwa Milli Awami Party. A walkout staged by members of the party was held. Since Article 239(4) of the Constitution requires constitutional amendments affecting geographic boundaries to be approved by the assembly of the affected province, the bill for the Thirty-first Amendment must be passed by the KP assembly with a two-thirds vote before its term expiry on May 28th, 2018. On 27 May 2018, 31st Amendment to the Constitution of Pakistan was passed with the majority in the Khyber Pakhtunkhwa Assembly. Total of 83 votes was needed for the bill to be approved. The vote was 87 in favor of the amendment for the FATA/K-P merger. On May 28th, 2018, President Mamnoon Hussain signed the FATA Interim Governance Regulation, 2018, abolishing the Frontier Crimes Regulation and outlining how FATA will be governed within a two-year time frame as the region is merged with Khyber Pakhtunkhwa. The FATA Interim Governance Regulation has been signed under Article 247 of the Constitution of Pakistan, which stands to be repealed by the Thirty-first Amendment to the Constitution. Sources privy to a series of meetings since the passage of the bill in the Khyber Pakhtunkhwa Assembly have stated that the repeal of Article 247 of the Constitution wasn't included in the proposed amendment until the last minute, and that the FATA Interim Governance Regulation will have "little legal standing" after changes are made to the constitution. The abolition of Article 247 could also introduce difficulty upholding the Action in Aid of Civil Power, the Nizam-e-Adal Regulation, the policing authority of federal and provincial levies, and tax amnesty provided to FATA. On May 29th, 2018, Senate Chairman Sadiq Sanjrani signed and forwarded the constitutional bill to President Mamnoon Hussain. Having been received by the Senate from the Ministry of Law and Justice after its passage in the Khyber Pakhtunkhwa Assembly, the bill was sent for the President's signature. Presidential assent was given on May 31st. The 31st Amendment will bring legal and administrative changes and alter the territorial, demographic and political dynamics of the area under the direct administrative control of KP — which has seen its total area increased to 101,741 square kilometers and population size to 32 million. A constitutional amendment alone may not pay dividends; hence, administrative reconsolidation is inevitable. Harmonising KP’s and Fata’s units will be a gigantic task. It may be advisable not to disturb Fata’s administrative limits initially, but certain steps (including creating new units) are unavoidable. A practical option is to annex Fata’s seven agencies with adjoining divisions and six frontier regions with adjoining districts. The amendment will reduce seats in the upper and lower houses of parliament. Fata’s 12 existing NA seats will go down to six (the NA’s total seats will go from 342 to 336). Senate seats will also reduce from 104 to 96. With 21 seats in the KP Assembly, the total will increase from 124 to 145. In KP, Fata’s women and minorities will have reserved seats. But Fata’s electoral history suggests that affluent independents and clergy will try to exert influence over KP’s governance, which could lead to political instability. And though the president’s and governor’s indirect remote-controlled powers have been brought to an end, increased political awareness may lead to a call for a more defined power-sharing formula between KP’s settled and tribal districts. The merger effectively eliminates the strategic buffer along the Durand Line, bringing KP directly in the line of fire from the Afghan border. The Levies and khasadars will have to be reorganized and merged to improve border management, and the Frontier Constabulary’s mandate too will have to be redefined. The merger will also eliminate ungoverned spaces once used by violent non-state actors, thus spawning the need for a modern police to ensure stability in Fata and the settled districts. Tribes entitled to perks and privileges under the old system may resist the merger. In KP, job applicants from Fata already compete in the zone ‘one’, but they may look for protective measures for federal jobs. The merger may also affect the admissions quota in educational institutions. A system similar to Sindh’s rural quota may be introduced for the former tribal areas in federal services. The government of Afghanistan criticised the merger, stating that the merger would be a contravention of the Treaty of Rawalpindi between Afghanistan and British India. Pakistan responded to the government of Afghanistan's position by rejecting the accusation that the merger was a "one-sided" decision. Dr. Farooq Sattar of the Muttahida Qaumi Movement (MQM) stated that his party supports the bill for "political unity," but his party would still prefer that FATA be made a separate province rather than be merged with Khyber Pakhtunkhwa. He called for the formation of 19 provinces, referencing bills MQM had previously put forth proposing the creation of South Punjab, Hazara, and FATA provinces. Sattar demanded a referendum on whether FATA should be made a new province instead of being merged with Khyber Pakhtunkhwa. Jamiat Ulema-e Islam (F) activists protested against the merger at the Khyber Pakhtunkhwa Assembly, attempting to stop lawmakers from entering the building. Pakhtunkhwa Milli Awami Party leader Abdul Qahar Khan Wadan defended his party's position against the merger and stated that the people of FATA want their own province, chief minister, governor, and public service commission. Leaders of the FATA Grand Alliance (FGA) called the merger "forced and unjustifiable". Given that the center pledged Rs100 billion for Fata’s development, the reforms’ success will depend on friendly working ties between the central and provincial governments. Without this, the province may not be able to sustain the financial burden. The shift from a colonial tribe-centric to a modern individual-centric model is monumental, not only for law and order but also for basic provisions. This will be a new experience for Fata’s people, who for over 100 years have been governed as groups and subject to collective punishment, despite this proving ineffective in curbing the onset of militancy. Thus, the opportunity to draft a new social contract between individuals and the state is ripe. A public-friendly institutional apparatus must be set up to respond to the people’s needs rather than ‘needs’ as defined in the past by the maliks. Fata’s successful transition will be dependent upon taxation, law and order and development; however, mismanagement may repeat its sordid history. While the formal constitutional end of tribal status took more than 70 years since Independence to achieve, who knows how much more time transformation may take. However, efforts towards abolishing a draconian and decadent system are worth appreciating. Had it not been replaced, it would have become a morass of mismanagement and corruption, with serious ramifications for the security of the state. A careful approach is needed to tread on the path of reforms.